Between Instagram, Snapchat, and Facebook, Twitter is the social platform that is having the worst year (er, years) by far. The platform’s feed is often uncontrollably filled with harassment, threats, and crude language. The company has come under fire for reportedly censoring tweets and removing trending hashtags. It hasn’t really done anything interesting to the product besides adding a new timeline that inadvertently angered its community. Brands and advertisers don’t find it that useful compared to other platforms. Young people can’t quit their day jobs to become “Twitter stars” in the way they can quickly become influencers on Instagram or Snapchat. Plus, it’s not making much money, which might be why the company is about to lay off 300 employees (it’s second time making such a huge cut) with the majority of said employees being workers from their sales department. What’s more, the company also decided to shut down Vine, its short-video app. To say the least, Twitter isn’t doing very well. 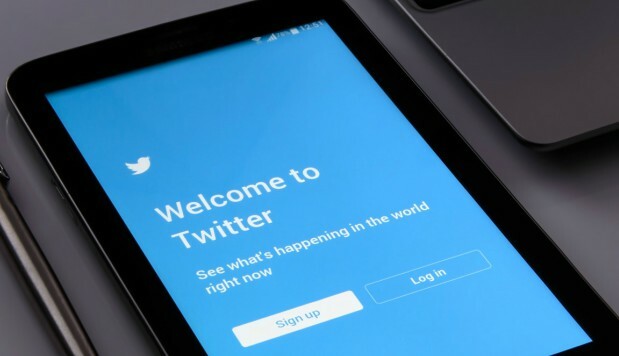 The once popular social networking service has been falling behind in the social world and even though people still use it, it seems Twitter can’t escape all the negativity that has turned both investors and users away. You might be wondering: so what? Who cares about Twitter anymore and why does it matter if it gets bought or closes its doors? As it turns out, what happens to Twitter does matter. What exactly is happening to Twitter? The past month has been quite the rollercoaster as potential buyers suited the company. News reports have been going back and forth about whether or not the company is for sale, has already been purchased or is no longer on the market. Currently, it seems the company will standalone when it releases its earnings statements on Thursday morning. At first, everything seemed to be going really well for Twitter. Though it never publicly stated it was seeking a buyer, it was doing well on the stock market and received interest from many notable companies—Google, Disney and even Apple—hoping to outbid each other to take it over. But, right now, Twitter’s stock sits at $18, which is an enormous plunge for the company that was previously worth $31 billion when it first went public in November 2013. Now, unless Salesforce (the lowly suitor still considering a buy) ends up with Twitter, the company will either try to make it on its own, or #RIPTwitter could be trending one last time. If you’ve ever used Twitter, you know how negative it can be as it’s an easy platform for trolls to find success in, well, being mean and terrible on the Internet. But the reason there are so many angry people tweeting and trolling others is because the platform provides a space for people to share their own voices. Though Twitter might seem irrelevant to people who don’t consider it one of their favorite social media channels to post on, to others, it’s all that matters. Where some people might not care for Twitter because of their lack of engagement or followers, for others who do use it regularly, it’s both a source for news and diverse opinions, as well as platform for sharing their own. Think about it: Twitter is banned in some countries whose governments don’t want their people tweeting their opinions or reading things they don’t want them to know about. Maybe you don’t think Twitter is as fun as Snapchat or as trendy as Instagram, but it is a powerful tool for those who see tweeting as a way of having access to freedom of speech. If the company falls under, some people could lose that opportunity. Twitter has a lot of negativity, but it also plays a prominent role in our social culture. During presidential elections and nationwide protests, Twitter is a source for many people to find news and see what other people are talking about. Consider how #MikeBrown started trending and how all those tweets, photos, videos and stories are archived on Twitter as a piece of history. When we search a hashtag on Twitter, we’re often looking to see how our thoughts, opinions and reactions align with the rest of the world. You don’t get that on Instagram. Though many people often see Twitter as a rival to Facebook for finding news, Twitter gives real-time reactions from anyone anywhere, whereas Facebook will prioritize the most popular posts. I’m not trying to say that without Twitter we don’t have a way to preserve what happens on the Internet, but I think it has had a monumental impact on the way we share news and discuss it with others. And I think it would be sad to see that disappear into a world more concerned with liking each other’s staged photos. To some, whomever ends up buying Twitter doesn’t matter. Maybe Twitter will remain independent, and maybe that is what the company needs to do to save itself. Maybe they can turn things around and become relevant again. But if someone does buy Twitter, say, Salesforce (since they’re the only company who currently still expresses interest) they will determine what the platform becomes. I have no idea what will actually happen, but it could either be really great, or really useless. If it had been purchased by Disney (who owns ESPN) it could have focused more on live events, with an obvious emphasis on sports. If it ends up with Salesforce, it might become more of a customer service platform primarily used for chatting with companies about placing orders or a marketing tool for brands. In either scenario, I can only envision a merger making Twitter deviate from what once made it so special. Image by Flickr user Anthony Quintano. There are people who use Twitter primarily for finding news, or for posting memes and tweeting jokes; there are people who use it to send death threats to celebrities and their peers (re: the “Hated In The Nation” episode of Netflix’s Black Mirror) and there are people who use Twitter as a platform for bringing awareness of social justice issues. Obviously people need to do more than just tweet their frustrations about issues, but Twitter can act as a digital space for a digital protest-and when those hashtags start trending, it gets people talking about an issue hence it does create awareness. So, yes, activism on Twitter can be powerful. The 2016 presidential election alone has proven that. For example, Twitter users created #NotMyPresident to protest Donald Trump and serve as a statement that reflects their thoughts and dismay for the outcome of this election. That hashtag spurred real protests and we’ve seen those protests erupt around the U.S. over the past few days. That’s how Twitter can act as a sort of community organizing hub—by starting a hashtag, getting it to trend and communicating with those also in support of the hashtag, you’re able to turn the protest into more than just angry tweets. Moreover, as people continue to protest and use the hashtag, that hashtag acts an archive for what’s happening, which both preserves the history of these events, as well as providing facts and information about it. Additionally, Kelly Oxford took to Twitter back in October when she tweeted about her first sexual assault after audiotapes revealed Trump’s thoughts on how he treats women. “Women: tweet me your first assaults. They aren’t just stats. I’ll go first,” Oxford tweeted. In response, millions (yes, millions) of Twitter users tweeted their stories of sexual assault. Twitter is a powerful platform for social issues and if we see it disappear, we lose that space for voices to be heard. Maybe you still don’t think it matters what happens to Twitter, but, consider what it would mean for one social channel to disappear. That would leave us with Snapchat, Instagram and Facebook for engaging with one another and sourcing our news. And in case you forgot, Facebook owns Instagram, whose Story platform is slowly trying to edge out Snapchat. I think it’s a scary thought, to think of Facebook being the only media giant that lets us connect on the Internet through videos or posts or photos. And when you look at the larger picture and think about Twitter being gone for good, think about the people who actually find value in having 143-characters to have their voice heard.